The QuarryNZ Conference for 2017, held in Auckland at the ANZ Viaduct Events Centre between the 19th and 21st July 2017 is now at a close, and what an event! 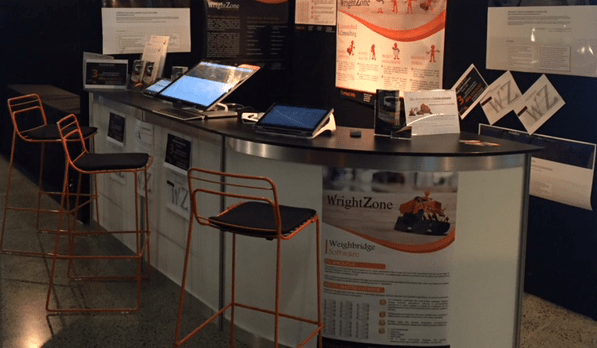 We were honoured to be an exhibitor enjoying the annual catch-up with industry players and most importantly hearing the differences in opinion and individual perspectives on the weighing industry; from points of pain through to success. At the 2016 Conference “we identified a preference for loader scale hardware that could receive and send over the local network ultimately consolidating the weighbridge and loader scales data for easy compare, and operations analysis”. In 2017, we introduced and presented the complete quarry management software solution, with our Loader Scale and Loader Scales Software which has broadened the scope and size of our market and business opportunities. The 2017 Conference held by the Aggregate and Quarry Association of NZ and the Institute of Quarrying NZ continues to deliver in offering opportunities’ for all those involved in the quarrying industry, to interact and exchange ideas. The Conference delivers the experiences of guest speakers with an ability to socialise with friends and colleagues, and to make new contacts, with which we truly enjoyed. Recognises demonstrated commitment to continuous improvement and safety leadership in the area of workplace health and safety in both the extractives and extractives support centres. Awarded to the Institute member, or members, whose technical paper is judged the best given, at an Institute Branch Meeting or the NZ Annual Conference. 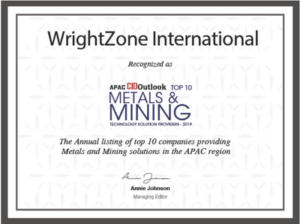 Awarded to the quarry operation judged to be the operation best meeting a wide range of criteria relating to the industry. Very much the ‘members award’. A means whereby IOQNZ can formally recognise both a long-serving member who is held in high regard because of a long period of outstanding service to the Institute, and ..
Editor of the NZ Quarry and Mining Magazine, Alan Titchall recognised three persons in the quarrying industry as “future leaders,” with each provided with a certificate, and $1000 each. Awarded annually to the NZ member of the Institute who has made the most outstanding contribution to the Branch during the current year. FROM ERUPTION TO CONSTRUCTION CELEBRATE QUARRYNZ 2017 WITH US. 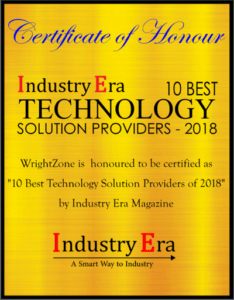 Three weighing industry clients’ have the opportunity for 40% Off the (CAPEX) capital investment in software and implementation services of our WZWB, WrightZone Weighbridge Software. The Dunedin City Council has welcomed a High Court decision to uphold a ruling limiting quarrying on Saddle Hill. However, the latest ruling does not signal the end of the long-running legal battle, as the quarry owners promised to appeal the ruling; there are also other issues outstanding. Council chief executive officer Dr Sue Bidrose said the decision took both parties another step closer to determining the future of quarrying on the Dunedin landmark. There is a significant shortage of aggregate supply to service current demand in Auckland’s ever booming construction industry. The shortage is set to be further aggravated by the growing economy and upcoming infrastructure projects such as the Central Rail Link. Auckland’s busy residential, infrastructure and construction activity has increased aggregate demand by around 15% year on year putting exceptional pressure on aggregate resources for roading and concrete segments.” Says Ian Jones, General Manager of GBC Winstone (Fletcher Building). Environment Canterbury, Christchurch City Council and the Canterbury District Health Board are committed to working together to resolve quarry dust issues in the Yaldhurst area. There were three complaints to the Pollution Hotline about quarry dust in July. Residents are required to wear two small pumps for eight hours within their homes, which draw air up through two separate filters. It will take approximately four weeks to receive the results. A fight has broken out over a proposal by a leading civil engineering company to expand truck movements from Clevedon Quarry by up to 1300 per cent. Fulton Hogan currently operates the quarry and now proposes to expand the quarry, previously known as Warren Fowler Quarry – and increase the annual production over several years to 2 to 3 million tonnes per year, according to the Clevedon Protection Society, a community working group with 12 core members.